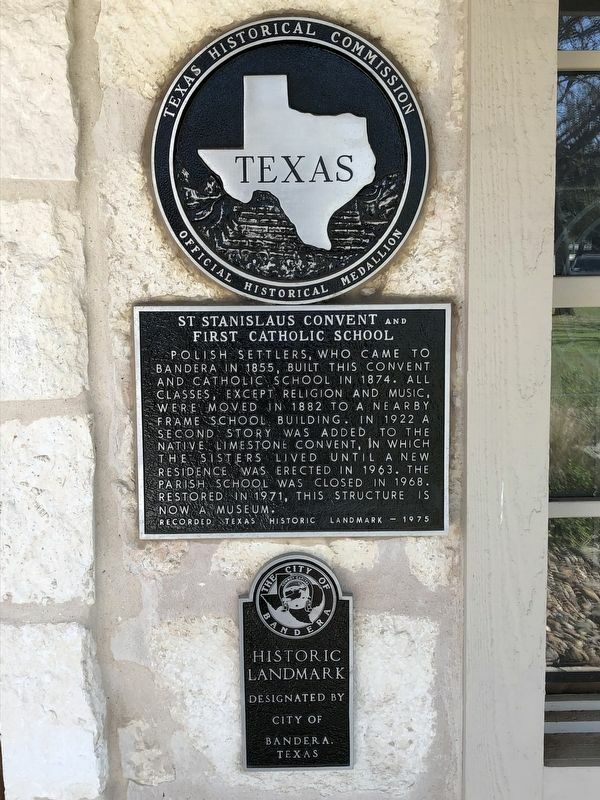 Polish settlers, who came to Bandera in 1855, built this convent and Catholic school in 1874. All classes, except religion and music, were moved in 1882 to a nearby frame school building. In 1922 a second story was added to the native limestone convent, in which the Sisters lived until a new residence was erected in 1963. The parish school was closed in 1968. Restored in 1971, this structure is now a museum. Location. 29° 43.278′ N, 99° 4.527′ W. Marker is in Bandera, Texas, in Bandera County. Marker is on 7th Street, on the right when traveling west. Touch for map. Marker is at or near this postal address: 602 7th Street, Bandera TX 78003, United States of America. Touch for directions. (approx. 0.4 miles away); Great Western Cattle Trail (approx. 0.4 miles away); Bandera, "Cowboy Capital of the World" (approx. 0.4 miles away); Old Texas Ranger Trail (approx. 0.4 miles away); Captain Jack Phillips (approx. 0.4 miles away). Touch for a list and map of all markers in Bandera. More. Search the internet for St. Stanislaus Convent and First Catholic School. Credits. This page was last revised on February 26, 2019. 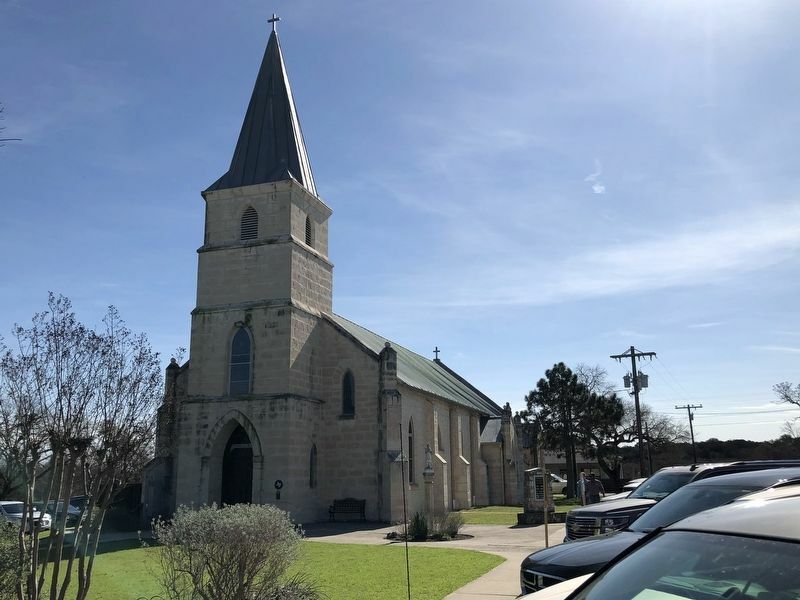 This page originally submitted on February 26, 2019, by Brian Anderson of Kingwood, Texas. This page has been viewed 29 times since then. 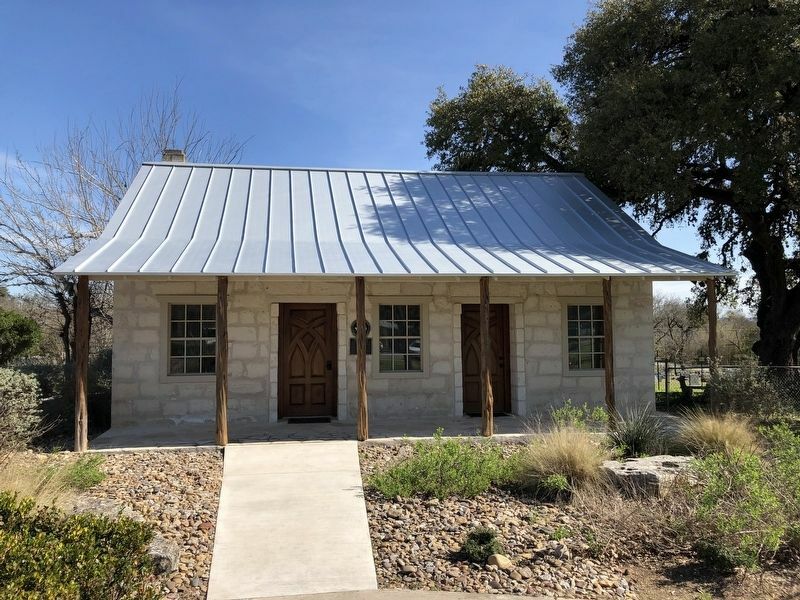 Photos: 1, 2, 3. submitted on February 26, 2019, by Brian Anderson of Kingwood, Texas.